Spring has sprung and all of the delicious in-season spring ingredients are heavy on my mind. 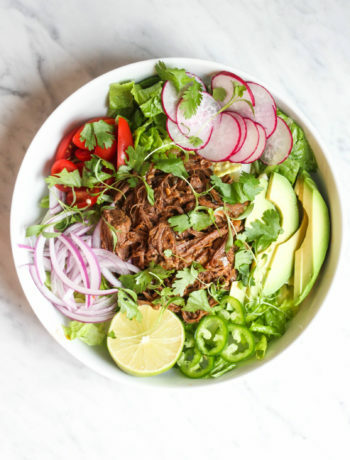 I love entering into the spring season and focusing on light and fresh ingredients and lots of spring greens. This easy sheet pan meal is filled with springs earliest harvest. One of the key ingredients and something you may have never tried before are the roasted radishes. If you’ve never had roasted radishes before it’s time you give them a try. Roasting them settles down their peppery flavor and brings out a touch of sweetness. Even if you don’t care for raw radishes, you may be pleasantly surprised with roasted radishes! My absolute favorite part of this dish though is the Lemon-Tarragon sauce. 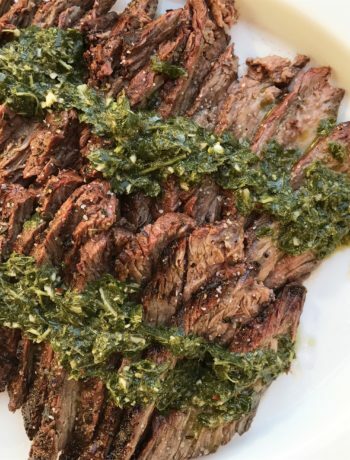 I love the bittersweet flavor of fresh tarragon and it’s a total rockstar in the mayo-based sauce to drizzle over this sheet pan meal. I loved it so much I used the leftovers on a wedge salad the next day. Delicious! 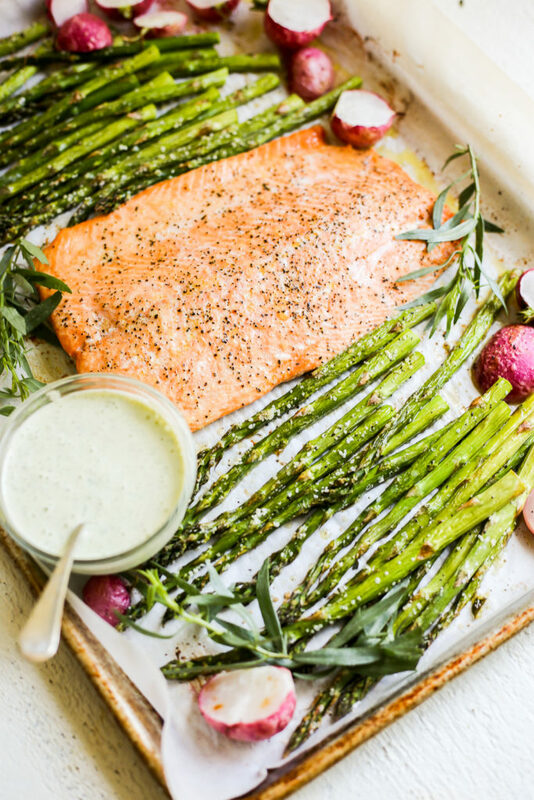 I hope you enjoy spring by adding this Sheet Pan Salmon to your meal rotation! Enjoy! Add the asparagus and radishes to the baking sheet. 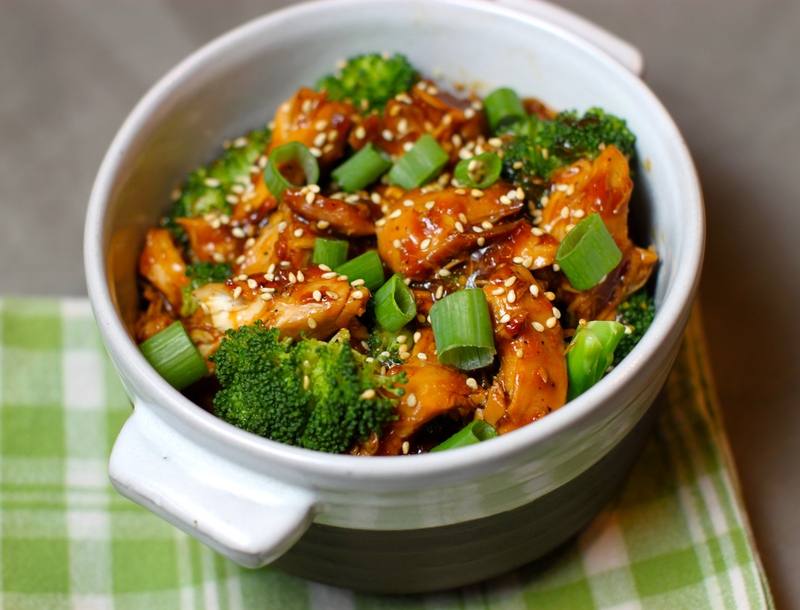 Drizzle with 2 tbsp olive oil, 1 teaspoon salt and 1/2 teaspoon pepper. Toss to coat evenly. Scoot the vegetables over on either side to create a large enough space for the salmon. 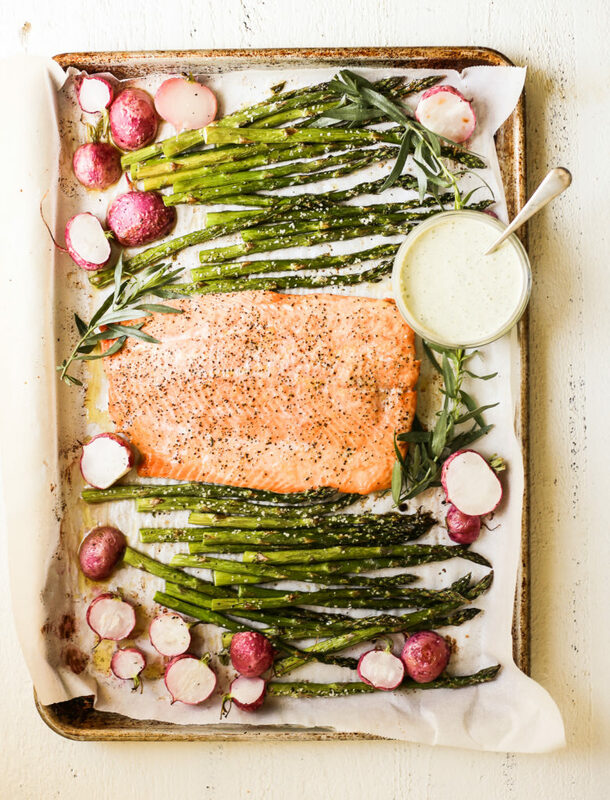 Place the salmon in the middle of the sheet pan. Drizzle the salmon with 1 tablespoon olive oil and brush to coat evenly, then season with 1/2 teaspon salt and 1/4 teaspoon black pepper. 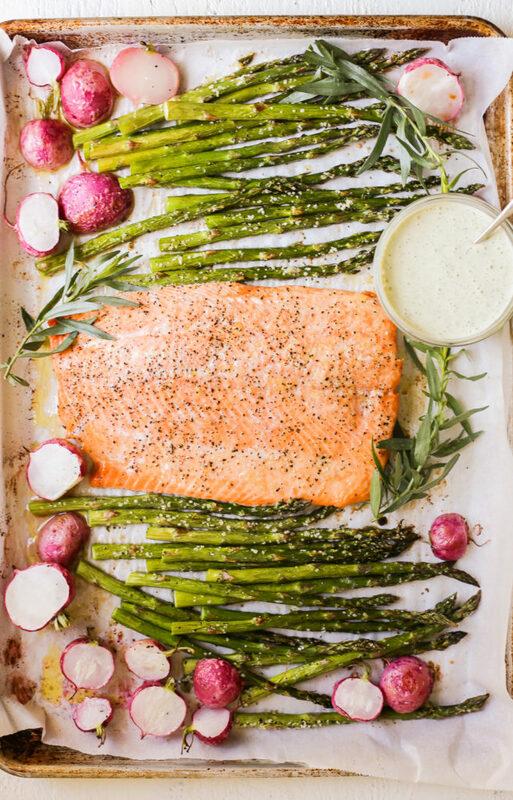 Place sheet pan in oven and roast for 12-15 minutes, until salmon is cooked through and vegetables are tender. In a food processor or blender, add the lemon juice, mayo, garlic, tarragon leaves, salt and pepper. Blend until well combined.